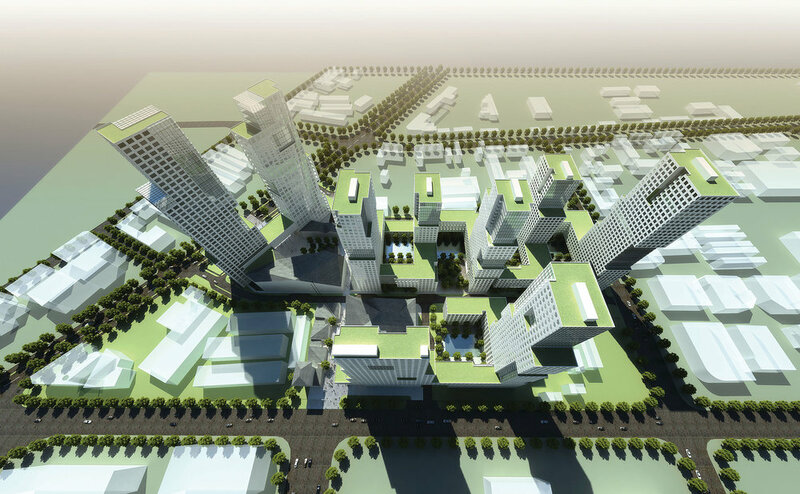 This housing project for a private developer is for a rapidly developing site at the edge of Xi'an, currently occupied by a technical college. The complex includes 2500 apartment units, a hotel, an office tower, a music school, a museum devoted to the display of traditional musical instruments, a cinema complex, and extensive retail space. The project is organized around a long spine of water, which provides a quiet center for in midst of the rapidly growing city. It is hoped that the development will also serve as a core for a neighborhood struggling to find character and coherence. Credits: J. Gu, M. Inmaculada Bueno Rosas, Y. Liu, M. Okazaki, M. Sorkin, Y. Sun.